We’ve all had bad experiences with automated services. Who didn’t go gaga trying to follow the pre-recorded instructions when talking to a bank/internet provider/insurance company? Fortunately, it’s not 1999 anymore. Nowadays, thanks to apps like ChatBot, you can design a bot that people actually want to talk to. And you don’t need to write a single line of code. Not sure if you need it? 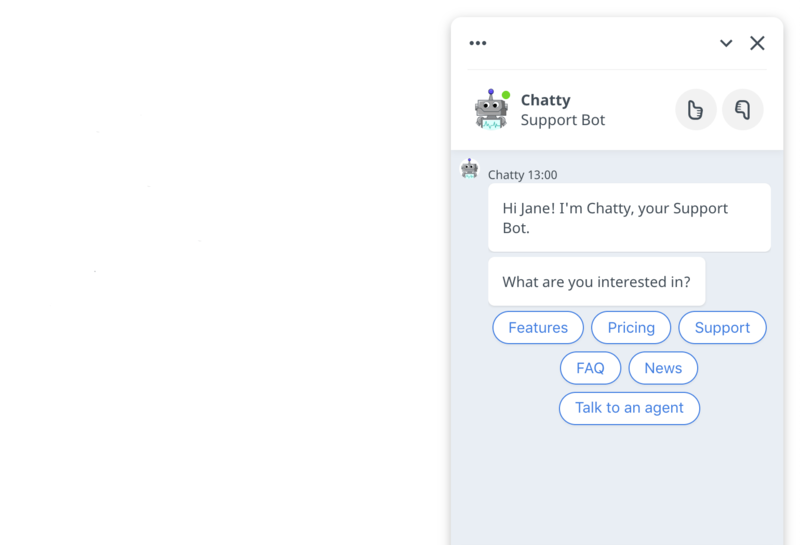 Read about chatbot benefits for your business. 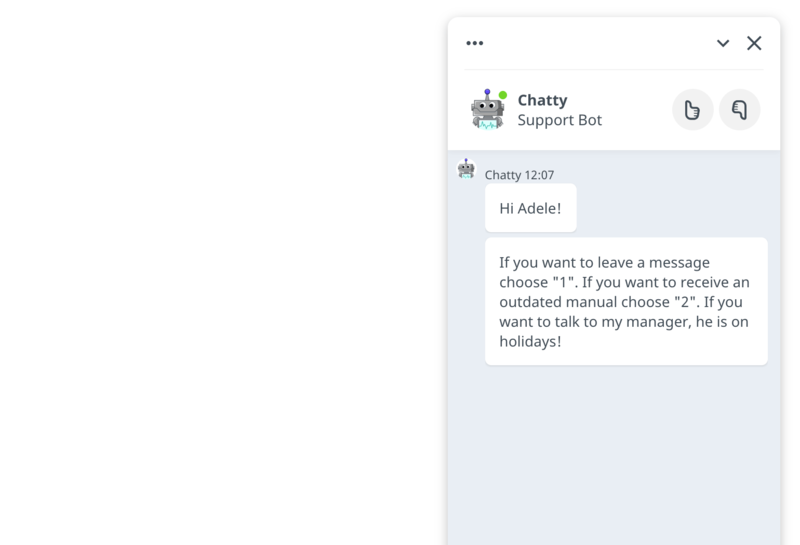 How to build a chatbot that works well for customer service? Implementing any software comes with initial teething problems. Creating a chatbot is very exciting and it’s easy to get carried away. That’s why you need to keep the hype at bay and plan before you start doing anything else. First things first, establish the purpose of your bot. Is it lead generation? Maybe appointment scheduling? Answering frequently asked questions? Surveying? Sky is the limit here. The more specific the goal, the easier it will be to both implement your chatbot and track its success. Build your goal around use cases – so it goes hand in hand with user’s needs. Decrease the average number of chats with human agents that deal with simple, repetitive queries (e.g. “What is your return policy?”) by 30%. Not sure what bots can do? 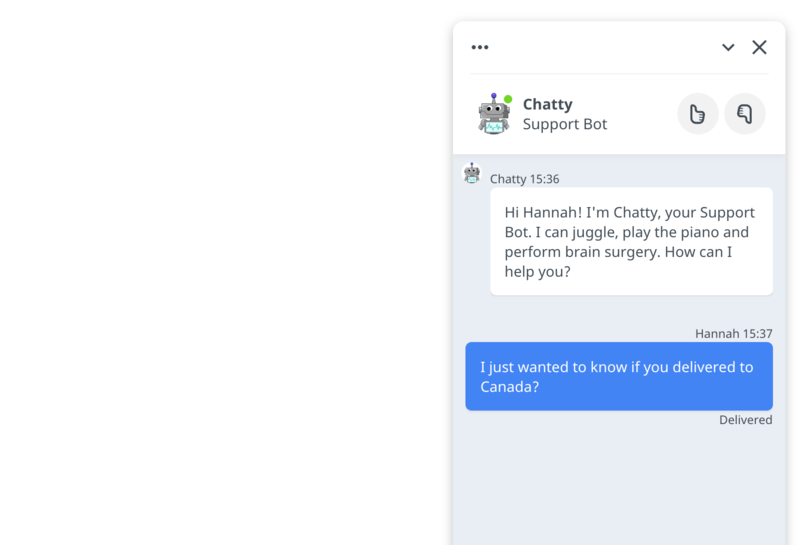 Check out these chatbot ideas. 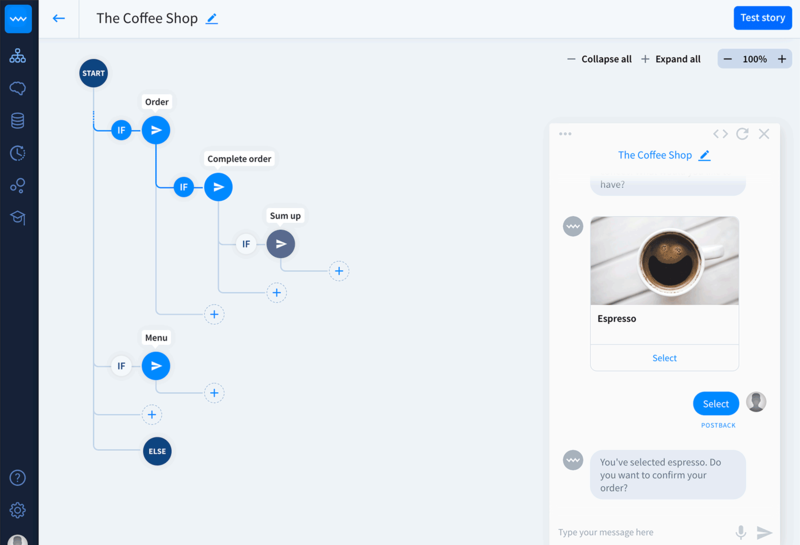 When you design a chatbot it is quite vital that you keep your users in mind. What are their tech skills? Do they use self-help (or rather do they have time to use self-help?). What’s their tone of conversation? Do they like to keep it serious or don’t mind an occasional meme? User preferences are one side of the coin. The other side is the actual user input. What sort of information do they need to provide in bot conversation? Will they have to type or just choose from provided options? If they need to write, what language and phrasing do they use? Who knows your customers better than people who talk to them every day? If possible, invite your agents to be a part of the bot design process. They know which queries are simple, yet repetitive and should be handled by bots, and which are too complex and are to be left to humans. Bots should be used for repetitive tasks where a specified user flow can be established. If you try to build a self-aware superbot you are bound to fail, as technology is not there yet. That’s why it’s good to cover very specific subjects, related to the goal you have set for your bot. The more branched out the conversation is, the bigger the danger that it will turn sour. 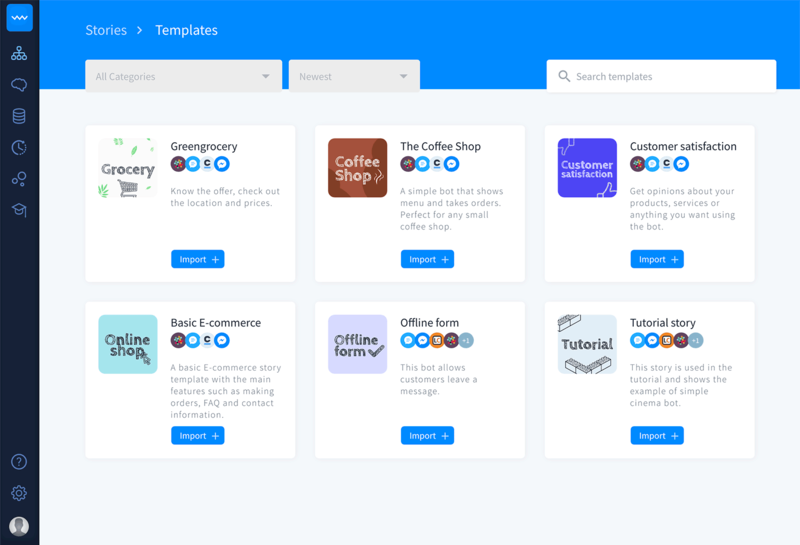 If you don’t know where to start, use ChatBot prefabricated templates. To find them go to Stories → New + → Import from template. If your bot frequently asks open-ended questions (e.g. “What would you like to do?”) it can turn the conversation into a guessing game. The user will try to think of what the bot can do, the bot will “try” to guess what the user meant. Using prompts can help you proactively show the capabilities of your bot. You can create a clickable menu or provide suggested answers so there is no place for doubt. An additional advantage of clickable elements is the fact that the save us from typing. Clicking is just way more fun. 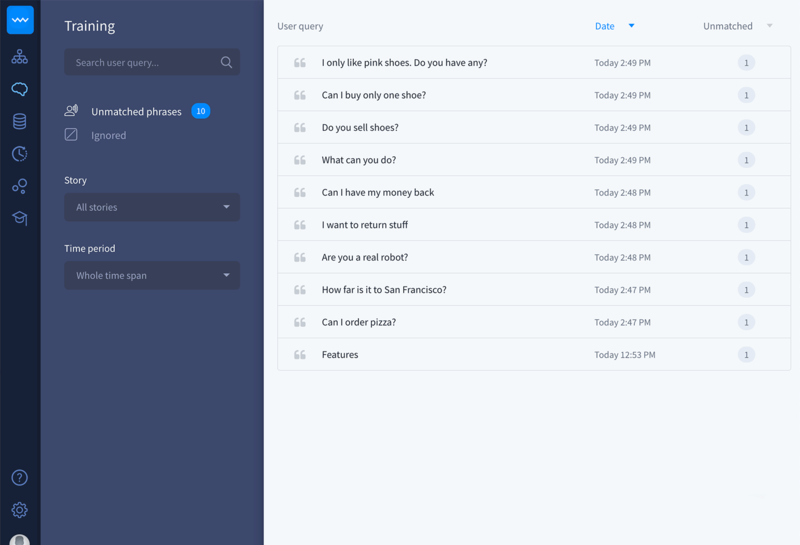 Quick replies are perfect for getting rid of the chatbot guessing game. 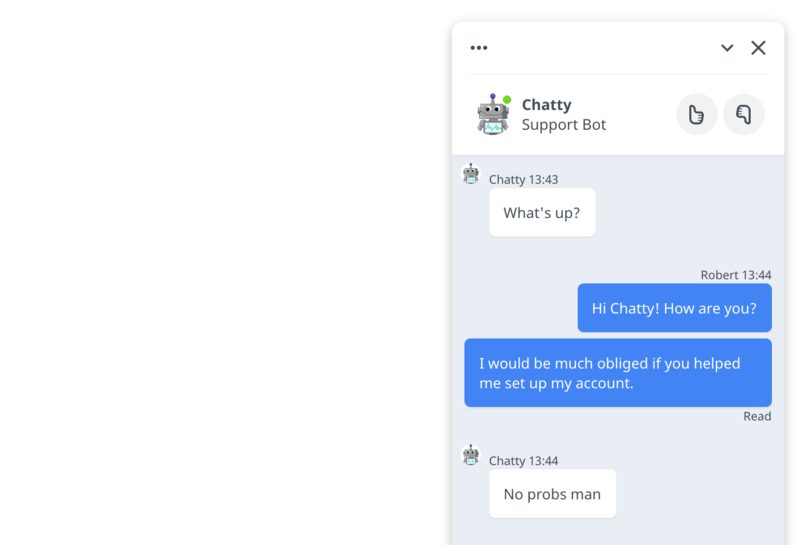 Check out how they work in ChatBot. Depending on where you live, pretending that a bot is a human could be illegal. Even if it is not against the law, it still undermines the user’s trust. No one likes to feel that they’ve been played. 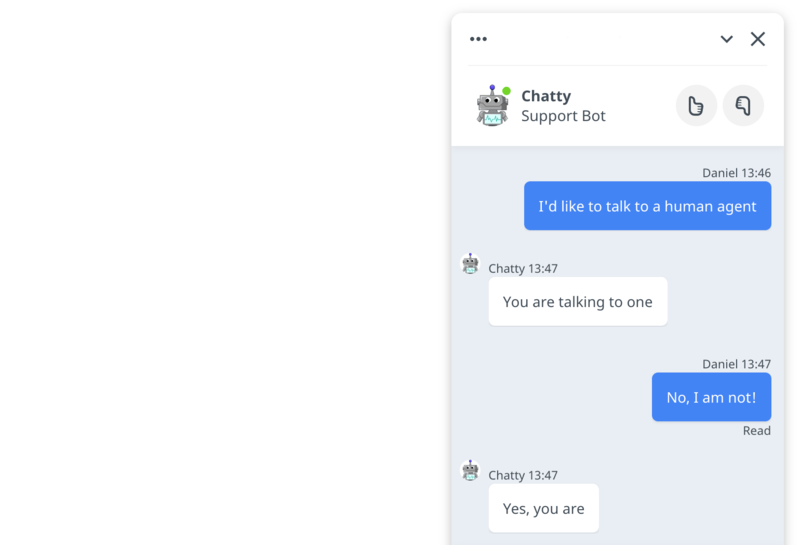 Let your customers know they are talking to a chatbot. Make it clear that it’s there to help them, not brush them off. Just because you shouldn’t pretend bots are humans, doesn’t mean your chatbot can’t have a personality. Maybe it works at a bank and likes to call everyone sir and madam. Maybe it’s silly and loves cheesy jokes. Or sends memes left and right. Bots can be a great medium for conveying your brand’s voice. Even though bots are useful for many purposes, handling complicated issues is not their best quality. That’s why it’s important to make sure your customers know that they can always talk to a human being. Provide them with a way to talk to a human agent, even if it means they need to wait. There are things impossible to foresee during the planning/designing stage. If you start testing early on, you will discover spots where the bot is breaking, before the release. This is where Live Testing feature come in handy. All stories created in ChatBot can be tested internally before launch. You can make sure that they all work as intended before users are able to see them. Don’t be afraid of little slip-ups. That’s why fallback interactions are there for. They are a safety net that is triggered when a conversation goes astray. A fallback interaction could take many different forms, from a simple “Sorry, I didn’t get it. Could you rephrase?”, through sending suggestions that bring the conversation back on track to a transfer to a human agent. All interactions that ended with a fallback are saved in the Training tool. 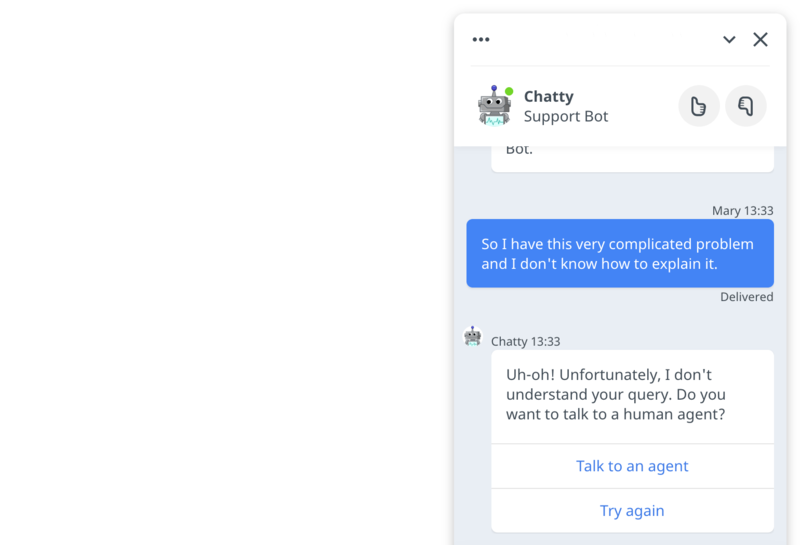 It allows you to review all users queries which your bot didn’t understand. And assign them to a specific interaction with just one click. If you regularly “train” your bot there will be fewer lapses every day.